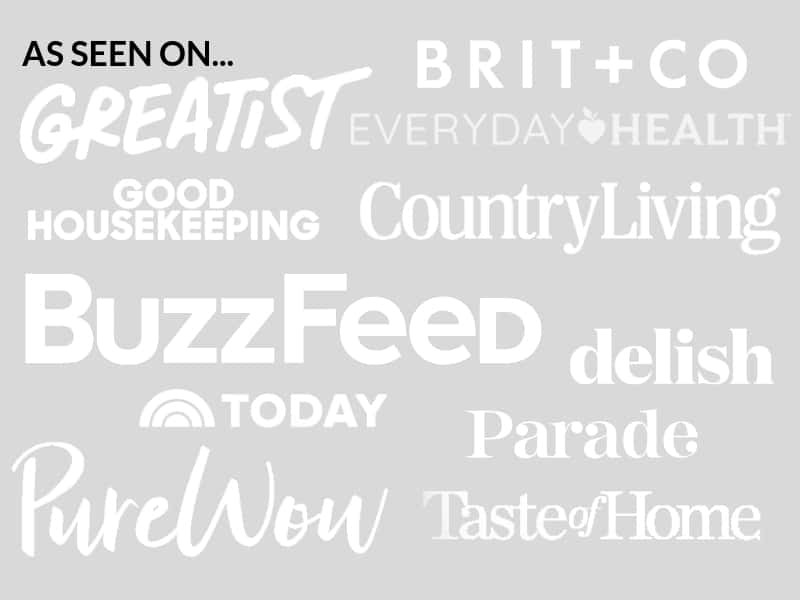 January 22, 2019 By Elizabeth Lindemann 4 Comments / This post may contain affiliate links. This is LITERALLY. THE PERFECT. AVOCADO TOAST. A drizzle of olive oil and a rub of garlic, along with a generous sprinkling of sea salt and squeeze of lime juice creates the perfect balance of flavor. And using mashed AND sliced avocado provides a beautiful and perfect consistency that won’t slide off the bread! Unless you’ve been living under a rock for the past couple of years, you’ve heard of Avocado Toast. It’s THE THING and is super trendy with millennials and hipsters alike. But honestly I don’t get why it’s such a “trendy” thing. It’s just plain DELICIOUS if you ask me! 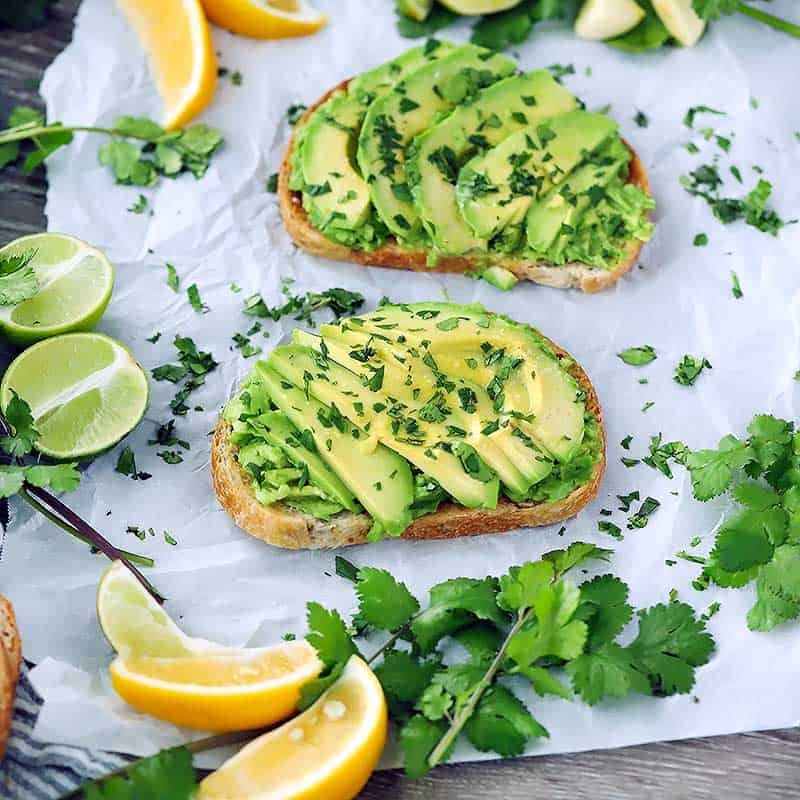 Avocado toast is a wonderful way to eat a vegan, plant-based meal or snack that’s packed with the nutrients. 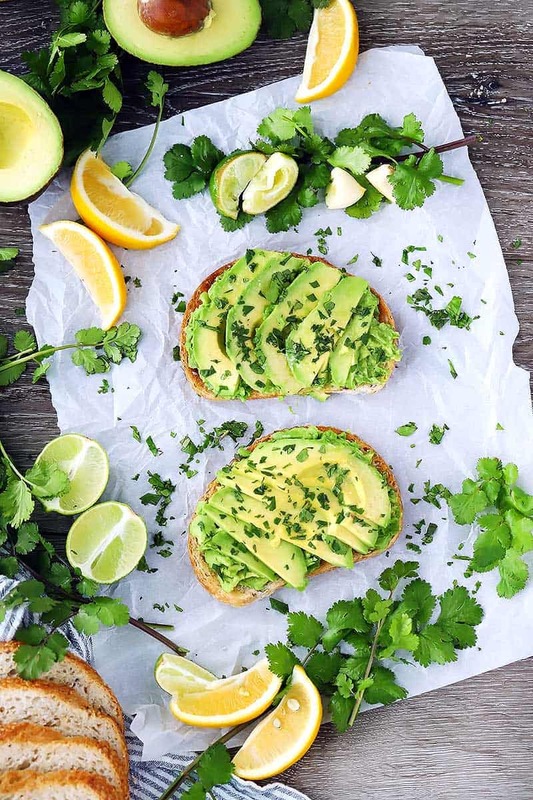 There’s so much goodness in avocados, like healthy, monounsaturated fats (the same you find in extra-virgin olive oil) and lots of vitamins and minerals. This avocado toast. Let’s talk more about it, shall we? Without further ado, here is my three-step program to achieving the perfect avocado toast. 1: Drizzle the bread with olive oil and rub it with a clove of garlic. Toast the bread in your toaster. I recommend using a good multi-grain bread from your grocery store’s bakery, if available. Have them slice it for you if it doesn’t come that way. Then, IMMEDIATELY when it comes out of the toaster while it’s still warm, drizzle each slice of bread with a little bit of extra-virgin olive oil and rub the surface of the bread with the cut side of a half a clove of garlic. You will smell the garlic as the warmth of the bread heats it up slightly. Mmmmmm. The garlic adds just a hint of garlicky-ness to the avocado toast, without overpowering it. You get aromatic garlic flavor without the spicy sharpness of raw garlic. It’s delightful. You can use the garlic later for other things if you want. Just save it in your fridge. 2: Use mashed AND sliced avocado. Ever use slices of avocado on a sandwich or burger only to have them all slide out the other side when you bite down? No more! First, mash some avocado with a fork on top of the garlic-rubbed bread. Then, add slices of the avocado on top. The mashed avocado serves as the glue that holds the slices on! To slice the avocado, I recommend using small paring knife to make slices in half the avocado while it’s still in the peel. Then, you can use a large spoon to scoop out the slices, then separate them and place them on top of the bread. 3: Sprinkle a generous amount of salt and squeeze lime or lemon on top. Cilantro optional. OK I’m a bit avocado obsessed, I admit it. But you’ll never- NEVER- catch me eating plain avocado. Avocado is just one of those things that needs seasoning to bring out its flavors. Ever tried chicken broth without salt? It tastes like dirty dishwater. But add salt, and you have amazing flavor that didn’t seem to be there before. Salt and lime/lemon juice both help bring out natural flavors in ingredients (and actually, if you’re watching your sodium intake, using lime/lemon juice in your recipes as a substitute for some of the salt is a great way to season!). So sprinkle a generous amount of salt on top of the sliced avocado (I used kosher salt, but sea salt flakes would also be great), and give it a good squeeze of lime or lemon juice (I used lime). And unless you’re one of those weirdos who doesn’t like cilantro (no offense), go ahead and throw some of that on top as well! Or keep it simple and sprinkle on some everything bagel seasoning. The possibilities are endless! If you are planning on topping your avocado toast with something like an egg or mushrooms, I recommend skipping the sliced avocado layer and only doing mashed, since the topping won’t stick to the slices as well. So there you have it. Three steps to the perfect avocado toast of your dreams. Millennial-approved. 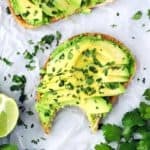 If you like this avocado toast recipe, you’ll love this 10-Minute Blackened Tilapia with Avocado Cucumber Salsa, this recipe for the Best Simple Guacamole, and this Vegetarian Breakfast Sandwich with Avocado and Egg. 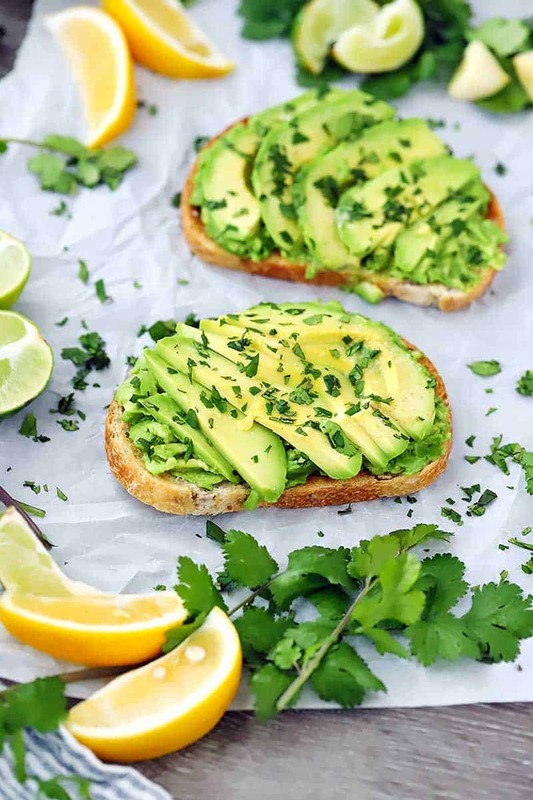 This vegan Avocado Toast recipe is simplicity at its best. 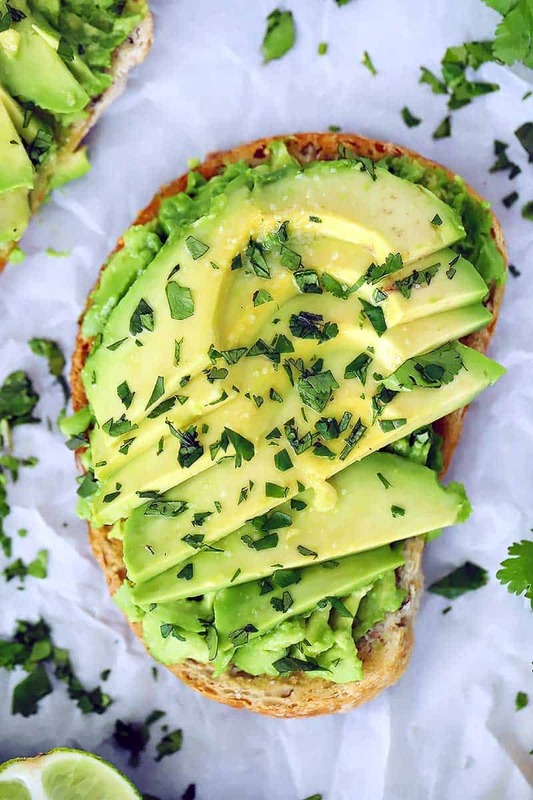 Mashed AND sliced avocado, a drizzle of olive oil and a rub of garlic, with a generous sprinkling of salt and squeeze of lime make for the PERFECT avocado toast every time! Toast the bread in your toaster. If you don't have a toaster, you can broil it on both sides for a minute or two. Immediately after the bread is done toasting, while it's still warm, drizzle each slice with about 1 tablespoon of olive oil and rub the oil in with the cut side of the garlic. You should smell the garlic as the warmth of the bread heats it. Cut the avocado in half with the peel still on. Remove the pit with a knife (carefully!). 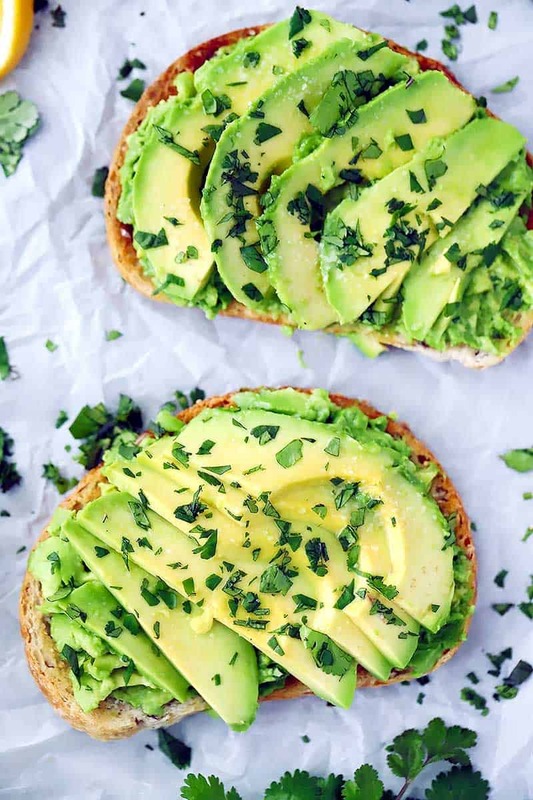 Scoop 1/4 of the avocado on each piece of bread. Mash in with a fork. Slice the other half of the avocado while it's still in the peel. 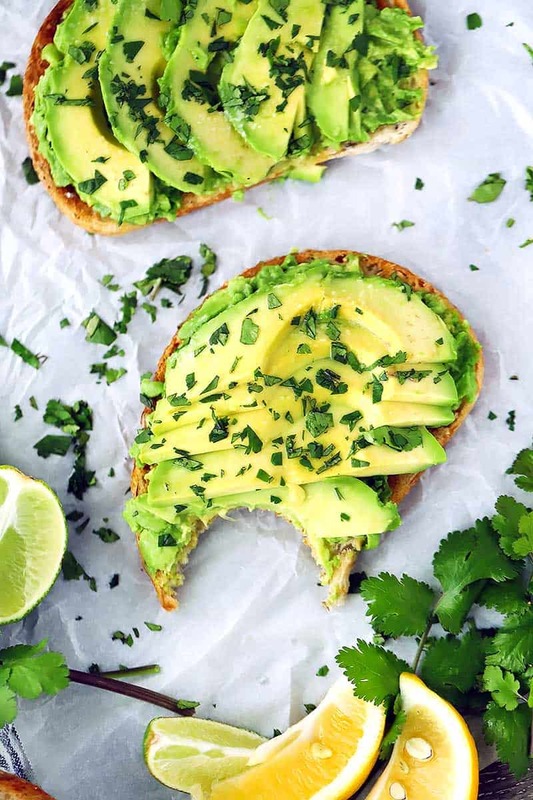 Scoop out the slices and spread evenly on the two slices of bread on top of the mashed avocado. Sprinkle each slice generously with salt and squeeze a wedge of lime or lemon onto each. Garnish with cilantro, if desired. It's HARD to find good bread sometimes! I almost always buy bread from the bakery in my grocery store rather than in the bread aisle. If it's not sliced, I have them slice it for me. I keep it in my freezer so it stays fresher for longer- the frozen bread can go directly in the toaster. Aw thanks! I was really excited about how the photos came out too. Between avocados being gorgeous- and photoshop to increase the saturation- I just want to live in that rich green color! Thank You Elizabeth this is my go to advocado toast- thanks again for your delicious recipes ?⭐️⭐️⭐️⭐️?